I realized today that I haven’t posted a Thrifty Thursday in over a month! To tell the truth, we hadn’t really been doing much thrift shopping or estate sale-ing with the holidays and everything, and when we did we weren’t finding much worth picking up. I’m happy to report that last weekend we managed to break out of our slump! We went to one really awesome estate sale, some thrifting, and we picked up some things at an antique store in town that’s closing (everything was marked 50% off!). 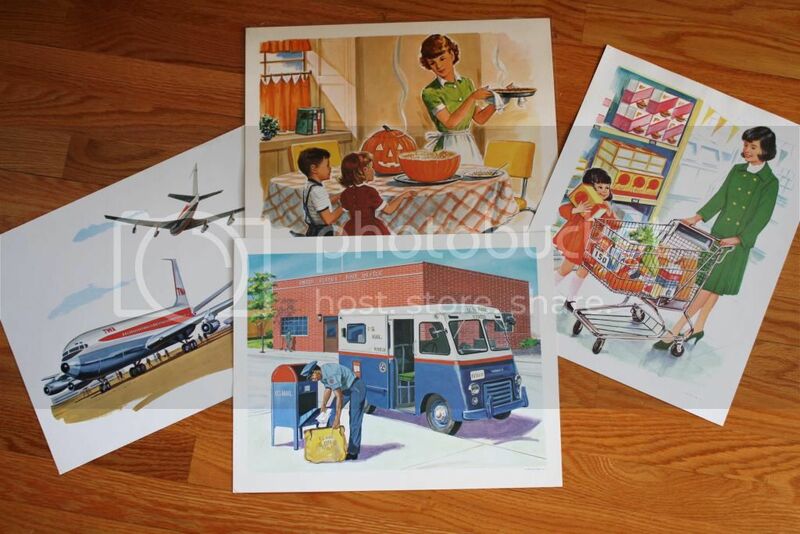 We found a lot of really cool paper goods at the estate sale too. 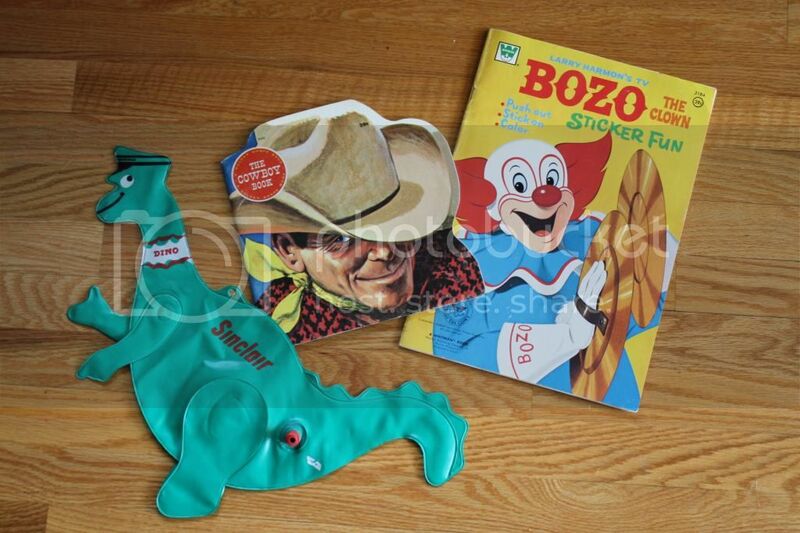 This cowboy book and Bozo sticker book were from there, as well as the cool illustrations in the top picture. I think they were $1 each. Phillip found the blow-up Dino at the antique store clearance. This carousel mobile is so cute! It’s still intact in the book. 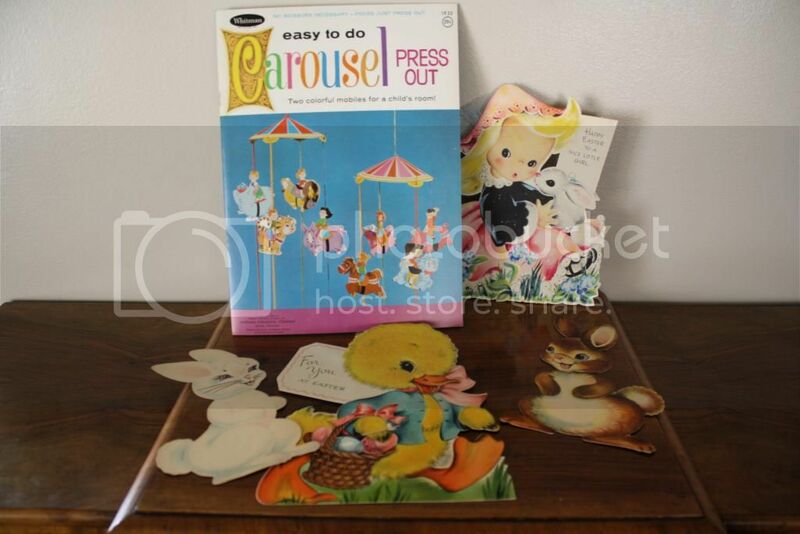 We also found these vintage Easter cutouts that will be perfect for the antique space in about a month or so. 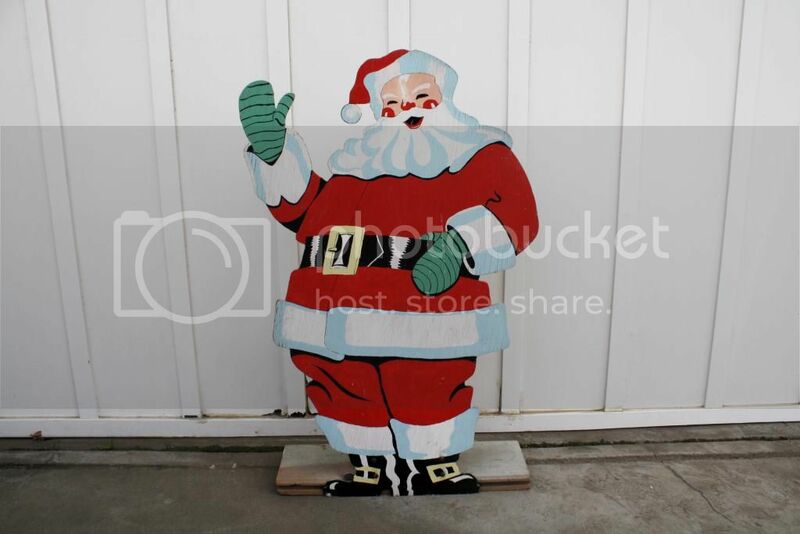 We actually found so much great stuff at the first estate sale that we decided to call it a day after that one instead of moving on to check out the rest of them. That never happens! We were surprised last week to see that one of the few antique stores in Santa Maria was going out of business. It was kind of a bummer to see it close, but we decided to check out the 50% off sale to see if there was anything we liked. 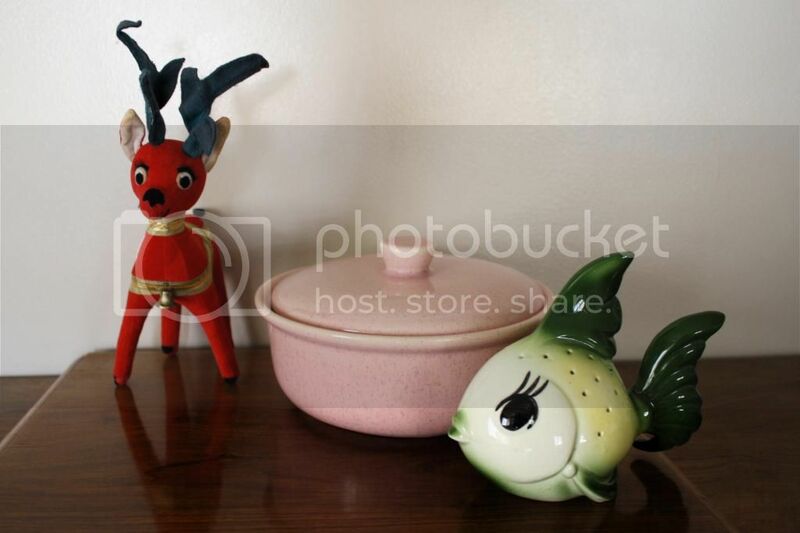 I found another Dream Pets deer for about $6 and this pretty pink Bauer casserole dish. The ceramic fish was from the estate sale ($4) and we think it was a toothpick holder. 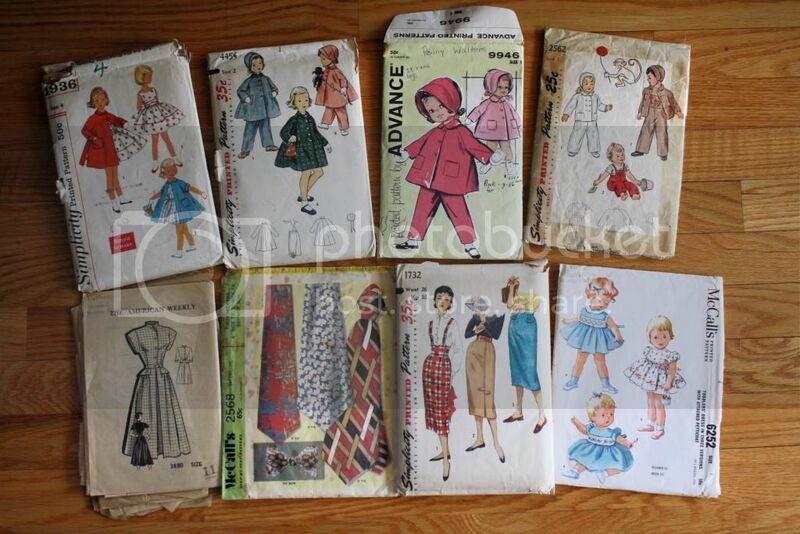 I also managed to pick up some vintage patterns! I’m keeping the tie one in case I end up making one for Phillip for the wedding, but I think I’ll be listing the rest in my Etsy shop. 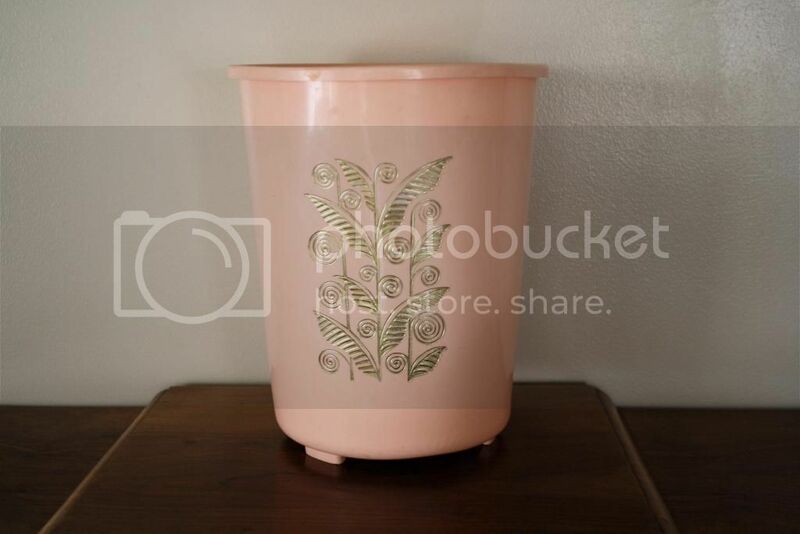 Along with this cute pink trash can, which is now in my sewing room! All in all, it was a very fruitful weekend! 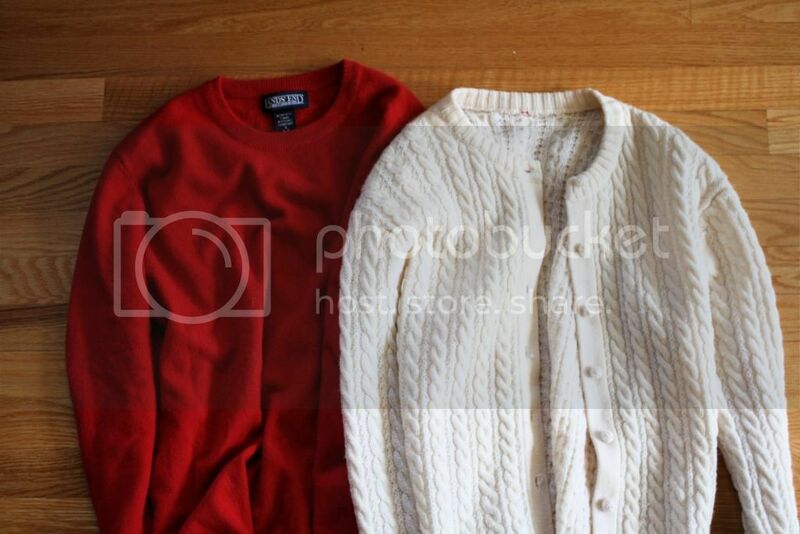 How did you fare at the thrifts/sales this week? 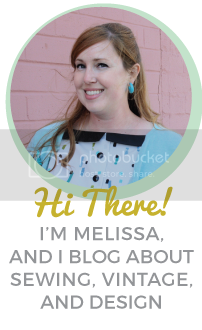 As usual, I’ll be linking up at A Living Space, Sir Thrift A Lot, and Joyful Treasure Hunting, so head on over and check out what everyone found this time around! By the way, does anyone have suggestions for some other fun thrifty link ups?